to create a logo for an online store. 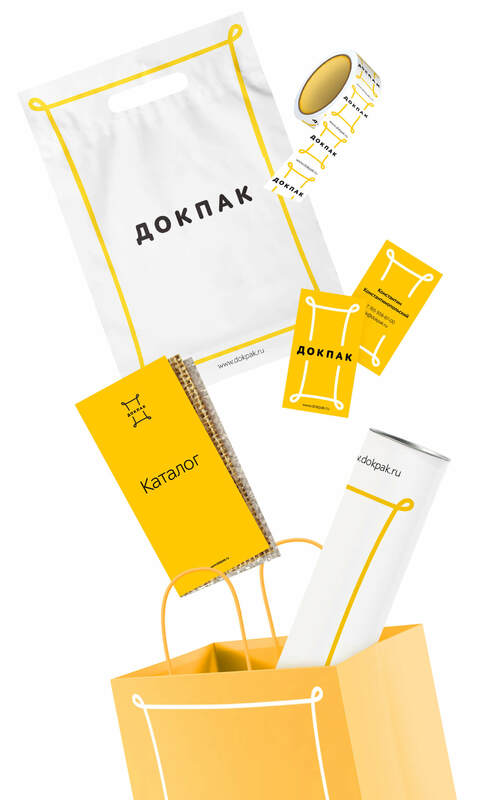 Dokpak online store offers industrial and gift bags as well as a variety of related packaging material. A neat and laconic logo for the store was created at the studio. The symbol has the shape of a bag, the company’s primary product. This is further hinted by the characteristic elongated rectangle shape and folded corners. The shape of the bag rhymes with two letters in the company’s name, Д and П. The elongated shape allows to easily place the logo on any bags, large and small.